In a corollary to IMAX 3D and big screen production, IMAX has partnered with Starbreeze AB’s StarVR the head-mounted display (HMD) with a 210˚ horizontal field of view (FoV) to bring out-of-home VR viewing locations to consumers. Central HMD players––Oculus Rift and HTC Vive––purposefully chose a 110˚ horizontal FoV design. This supplies nearly full stereoscopic FoV which is 120˚ horizontally. When thinking about a virtual reality display, the wider the FoV the more considerable the display requirement in terms of total pixels. StarVR’s staggering 2560×1440 pixels per eye jives well with IMAX’s track-record for large, premium cinematic screening. So you know, this is compared with Playstation VR’s 960×1080 pixels per eye, Oculus Rift’s 1080×1200 pixels per eye, and HTC Vive’s 1080×1200 per eye all across about 110 degrees. Pushing wider FoV and maintaining competitive pixel per degree results in greater power consumption for a given perceived brightness. Which is why Starbreeze announced its partnership with Acer as well to help bring more sophistication to the display performance. One of the first IMAX + StarVR out-of-home locations will be in Los Angeles and it will be interesting to see how similar their layout will be to Kaleidoscope Festival which fills rows of chairs that support 360˚ turning with gawking-gear-vr viewers. Starbreeze’s demo of Overkill’s The Walking Dead was one of the most sketchy virtual reality experiences I’ve had because they simulated a zombie apocalypse well enough to feel that way. I was sitting in a wheelchair wielding a pump shotgun which were mapped appropriately into the virtual construction. Being on a guided path helped with motion-sickness (constant velocity). Myself using The Walking Dead demo at VRLA earlier this year. The Economist participates in Virtual Reality content for the first time by collaborating with Rekrei, formerly known as Project Mosul. Project Mosul, a VR service/production studio did a trial piece with The Economist followed by showcasing of that work at various conferences to create a buzz. Rekrei collects artifacts from locals and uses photogrammetry to reconstruct establishments from previous eras. Photogrammetry is a technique that uses multiple images of an object, taken from different angles, into a piece of software that combines them to form a three-dimensional model. It’s not novel and has limitations (i.e. time intensity can be high, and for larger spaces it may not be feasible), but it’s becoming a prominent tool for virtual asset creation of physical objects or locations because it may look pretty realistic. See also: realities.io inside of the HTC Vive for particularly appealing photogrammetry application. 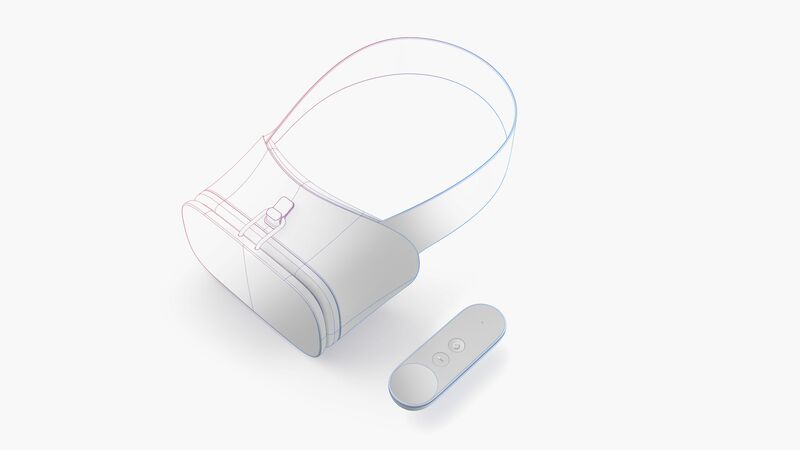 Among many things Google announced Google Daydream platform. Included was it’s HMD reference design for manufacturers that included a gamepad similar to the Oculus Rift remote. Some other talks revolved around VR design learnings, Daydream Labs prototyping, long-time resident Google film-maker Jessica Brillhart’s take on cinema in VR and Youtube, and Enhancing Applications and Websites with Embeddable VR. Find a number of those talks here: http://bit.ly/25935hX. What sticks out to me from Google VR? Bringing our physical world and digital environments together. I have a Project Tango developer kit and while it’s quite neat in some aspects it falls flat in other areas. The range of the sensors isn’t the best, even when the item you want to scan is less than half a meter from you the device won’t be able to successfully detect and scan it. There will definitely be improvements over time, the project lead, Johnny Lee outlined the resources invested in the project. Namely, >10 research partner institutions, 26 conference/journal papers, 25 PhD and Masters students, and >50K lines of open source code. However I think it’ll take time for it to take off, and the two most important parts for it to succeed are the ease of use and the quality of the device/scan. 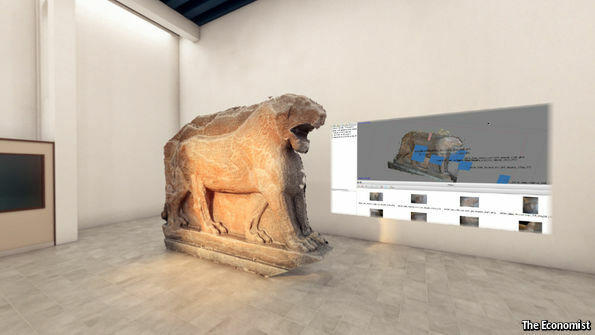 I chatted with the CEO of Jahan, a platform that leverages 3D scanning to allow you to visit the world’s museums and heritage sites with Virtual Reality. He said what was easily the biggest issue for him is the resolution of the camera, which at 4 MP leaves room for improvement and doesn’t pick up detail, which is important for 3D scanning and indoor mapping. In more personal experiments I have found battery life and slow charging capabilities to be obstacles to development and use. The holds on the back-sides of the tablet suit the hands nicely. Switching gears, it’s great that Google has announced Daydream, a platform requiring phones with appropriate sensors, display, and system on a chip to handle motion to photon latency constraints, but at the same time I have questions surrounding the accessibility of the Google Daydream phones. Practicality of the mission to get VR into the hands of everyone calls for added value at the Cardboard platform level where people can be introduced to VR content in lighter weight formats like 360˚ video and pictures with a greater range of phones. I hope to understand more about the direction Cardboard is going. Be on the lookout for more on topics discussed at Google I/O 2016. 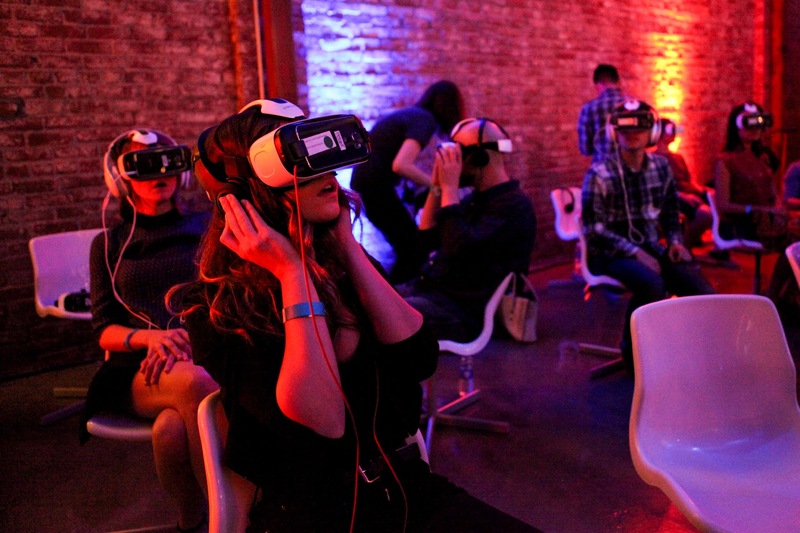 Last week UploadVR wrote about the statistic that one million people used Gear VR last month. Recently, similar data on users of the HTC Vive has been rolled out based on Audioshield and Space Pirate Trainer installs. Though, it’s unclear how frequently these users are coming back to the HMDs, respectively. Seemingly both manufacturers share the perspective that providing such numbers may act as a catalyst to attract developers.